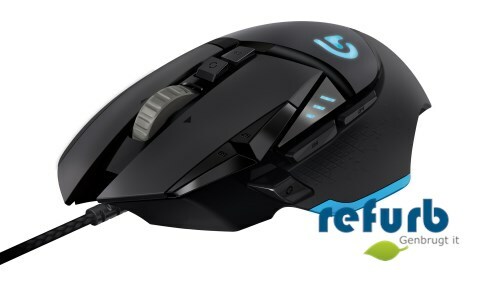 G502 Proteus Core is pre-tuned for Logitech gaming mouse pads, G240 and G440. Add a mouse pad for extreme accuracy. Customize the gaming mouse to the weight and balance that feels good to you. Proteus Core comes with five 3.6g weights. Add some or all, and arrange their positions for a mouse tailored to you. * Logitech Gaming Software (LSG) is required to change button programming. LSG is not required for onboard memory settings. * Logitech Gaming Software (LGS) is required to set DPI preferences. LGS is not required for settings stored in onboard memory. You decide the mode with Proteus Core. Choose whether you want click-to-click precision or hyper-fast scrolling.